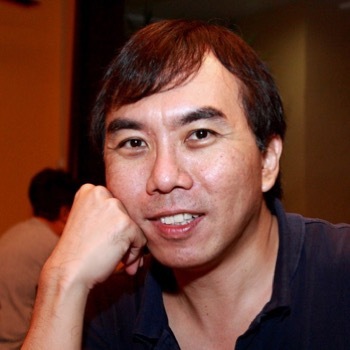 Mr. Lim Kooi Fong is the founder and owner of the Buddhist Travel site, http://buddhistravel.com. It was and probably still is the world’s first “Buddhist Travel” site, setup in 2007. Buddhist Travel is the travel companion of the Buddhist Channel (http://buddhistchannel.tv/), one of the world’s premier sites for Buddhist Related news and events, which he is also the founder and Managing Editor. Helping the news team based here in Kuala Lumpur is our International Advisory Panel (IAP) from the United States, Sri Lanka, Thailand, Malaysia, England and South Korea. Apart from Buddhist related news and travel activities, he is also involved in developing Malaysia’s eco-tourism sector by closely working with Ecotourism and Conservation Society of Malaysia (https://www.ecomy.org/). Together with ECOMY, they have embarked on creating electronic guides in terms of nature apps which are being used along selected nature trails in Malaysia. His company and ECOMY collaborated successfully with Tourism Malaysia to develop the country’s first birding tour app, http://birdsmalaysia.my/. The E-Guide initiative has great public sector support, and has been working with Khazanah Nasional, (the strategic investment fund of the Government of Malaysia) through its foundation Yayasan Hasanah (https://yayasanhasanah.org/) to bring back the country’s natural history heritage in digital format from the Natural History Museum, London.